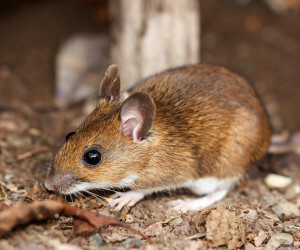 An interior rodent control treatment consists of placing anywhere from 4-12 tamper resistant bait stations on the inside of the structure in common travel areas for mice. These areas include attics, under stoves, under kitchen and bathroom sinks, near furnaces and hot water tanks, close to electrical panels and under stairs, always away from where pets and children may find them. We use single-feeding, rodenticide bait and it is placed in lockable bait stations. The treatment is warrantied for 90 days and can take 3-7 days to be effective. For the most part, they will die in their nest in a wall or attic. Occasionally, a dead mouse will be found in an inconvenient location or cause a slight odour. If this happens, air fresheners or candles can help, or, if necessary, we can supply you with odour absorbing bags. This does not happen very often. At Miller Pest Control, we prefer a proactive approach. Our preventive maintenance program consists of setting up exterior bait stations around the perimeter of your structure and servicing them at least twice per year. At the same time, we will bait the interior to take care of the problem on the inside of the structure. The purpose of these exterior stations is to prevent mice from entering your home or cottage. At service time, these stations will be cleaned and fresh bait inserted. Generally, 4-8 stations are installed, depending on the size and shape of the structure. There are two types of stations available. These stations are designed so that only mice can fit into them – no need to worry about dogs, cats, squirrels or children, the stations are double locked and only a technician can open them.